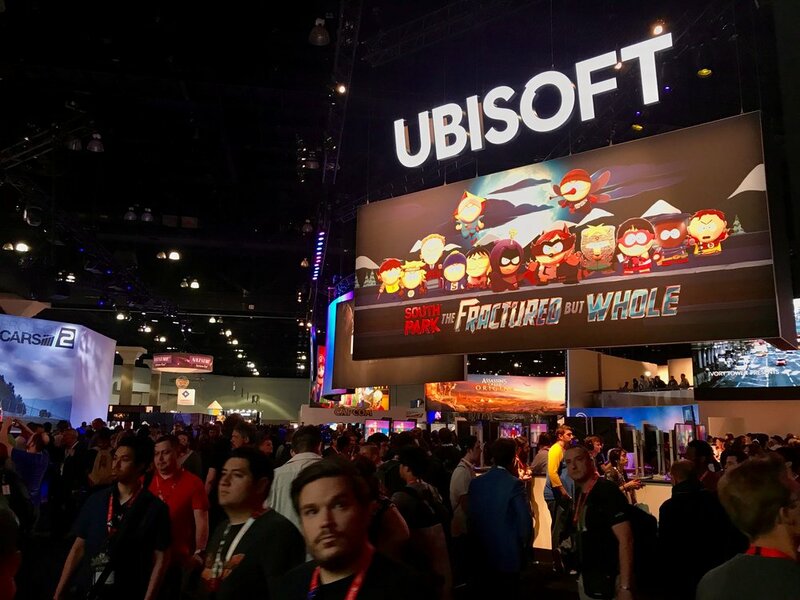 Gaming powerhouse Ubisoft and Amplifier have partnered on an awesome new project. 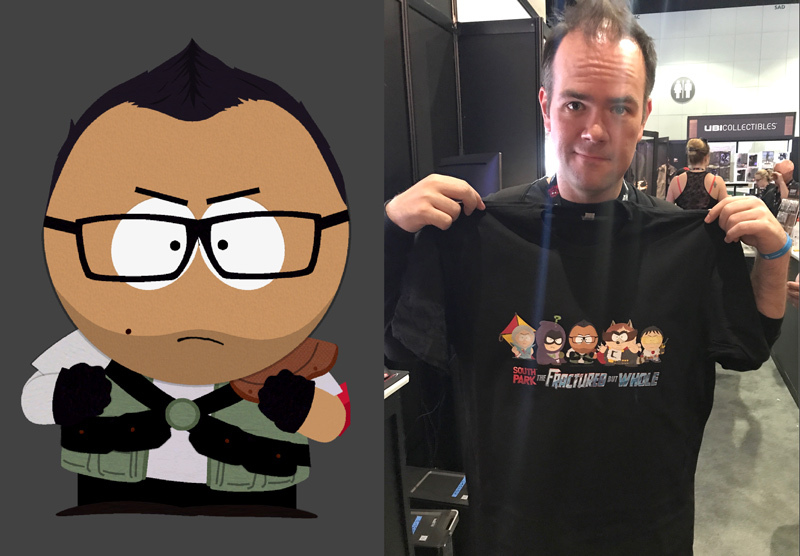 Now players of their hit game SOUTH PARK: The Fractured But Whole can order their own custom game avatar printed on Shirts and Coffee Mugs. Check out this video that shows how to make your own! 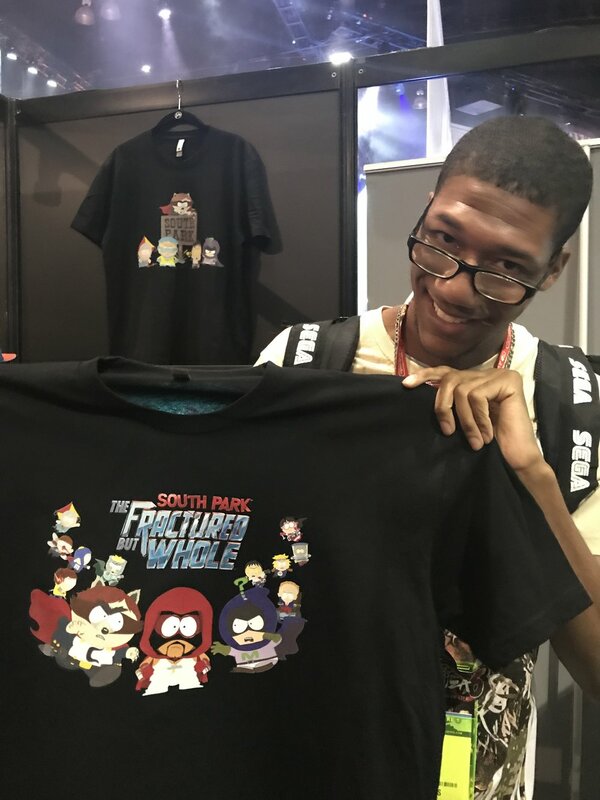 We previewed this feature at the Ubisoft booth at this years E3 show. 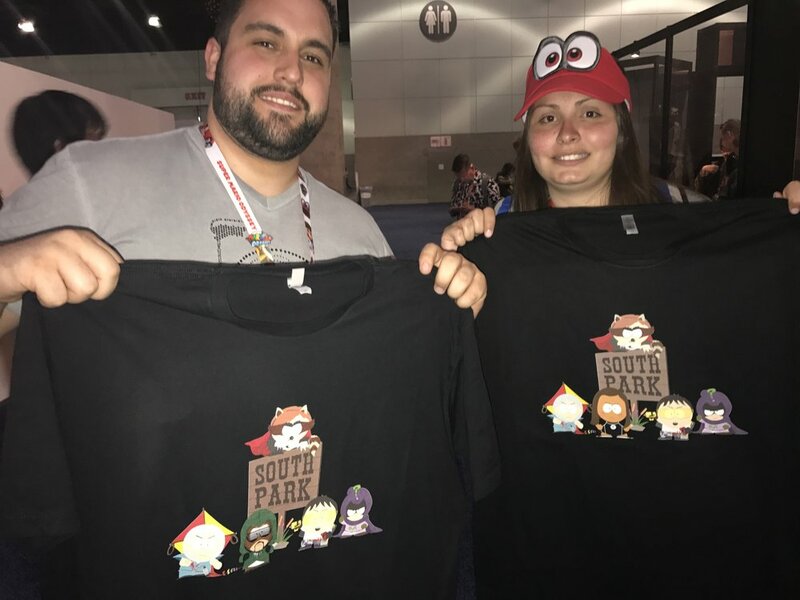 The customized shirts were an absolute smash. 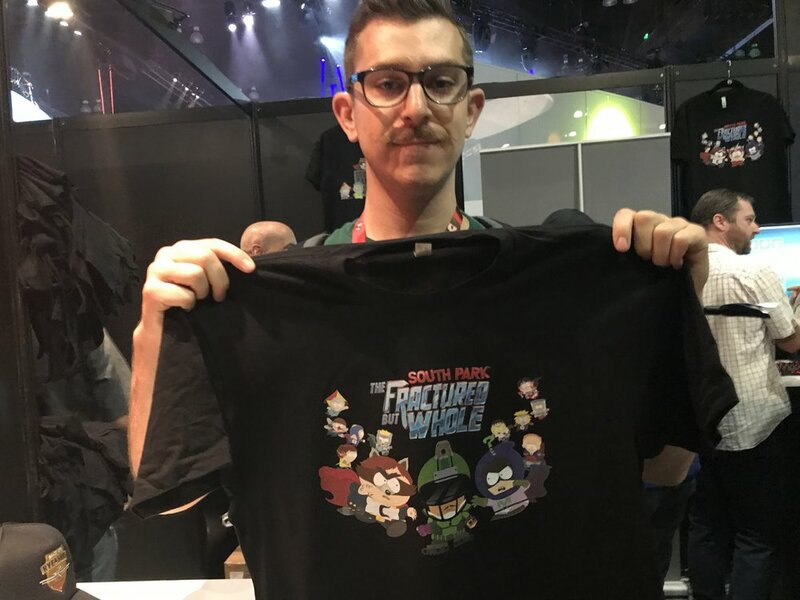 The line for custom shirts at 2017 E3.